It is with great pleasure that Lauren’s Wing – The Fund for Animal Care announces that Carpenter Latrobe Specialty Metals- Carpenter Cares Committee has once again selected Lauren’s Wing as a recipient of a generous donation. It is wonderful to know that corporations in our community care and wish to give back. We are honored that Carpenter Latrobe Specialty Metals-Carpenter Cares Committee has selected to support our cause. On behalf of our past 23 recipients, as well as future ones, Lauren’s Wing expresses our deepest appreciation to this great to Carpenter Latrobe Specialty Metals-Carpenter Cares Committee. Your hearts are very giving and ours are most grateful! October 14, 2015 Hello Friends! My name is Jasper! I arrived at Action for Animals with a group of 7 dogs that were all rescued from a hoarder situation. 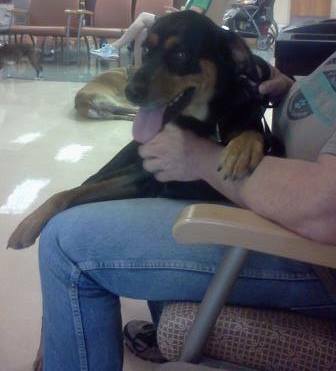 All the dogs I came in with have been adopted, but I still remain waiting. I do understand people are reluctant to take on a dog like me with a medical condition. My perineal hernia was not only painful and debilitating but made me undesirable for adoption as well. Left untreated, this condition could be life threatening. Things are starting to look up for me though. I was taken to Ohio State University for corrective surgery on my hernia. My surgery was a delicate one and will require several weeks of pain medications and cage rest. Everyone I meet is impressed with my sweet disposition and how I like to put my paws together to pray. Well, my prayers are finally being answered as I am one step closer to finding that special forever home where I will be loved and cared for. When I am fully recovered, please stop by the shelter to visit with me. Thank you to the caring staff at AFA, and to all the kind people who support Lauren’s Wing. Without you, my surgery would not have been possible. Lauren’s Wing – The Fund for Animal Care wishes to express our appreciation for the kind donation from HarbisonWalker International Foundation. It is amazing to know we have such wonderful and caring corporations in our community. Donations like the one from HarbisonWalker International Foundation are proof that companies can have large hearts- and ours at Lauren’s Wing are indeed thankful that they have considered our mission worthy of support. My name is Chelsie and I am the newest recipient of the Lauren’s Wing Fund for Animal Care! I used to live at another local shelter – lonely, hurt and waiting. When that shelter realized the extent of my medical issues, a call was made to Action for Animals Humane Society pleading for help. Arrangements were made for the transfer. 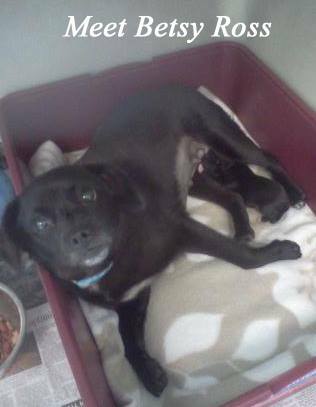 I arrived at AFA and while having my leg evaluated it was discovered that I was pregnant with a litter of pups. So yes, “Betsy Ross” and I have some things in common! After safely delivering my litter, AFA shelter manager Lu made the journey with me to Ohio State University. Yes, that is my pic patiently sitting in the waiting room. The veterinarians surmise something hit me hard from the front. Both my legs showed signs of trauma. One healed, but the other was dislocated with no signs it would ever improve. I needed to undergo a long and complicated surgery and stayed at the university for a week. There is now a pin and brace holding my front leg in place. It will stay there until mid August when I make a return trip to Ohio State for another evaluation and check up. I am back at the AFA shelter, resting comfortably and rockin’ my Elizabethan collar! I’ve got a long road ahead, but thanks to the terrific care at Action for Animals, I am making progress. Special hugs and kisses to the amazing AFA staff and shelter manager Lu, for accepting me with all the challenges that lie ahead. Also a big shout out (ROOF!) to all the kind and generous people who help support the Lauren’s Wing Fund. 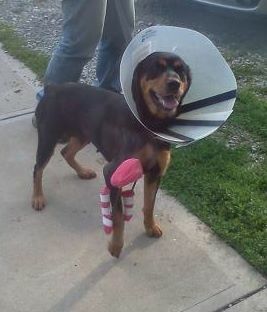 Lauren’s Wing is proud to have provided the medical funds for this special dog. We have funded 19 recipients to date – Chelsie’s procedure has been one of the most complicated. 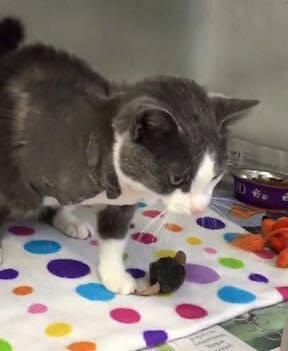 Although Chelsie’s surgery was lengthy and costly, the joy of watching this helpless shelter animal be rehabilitated is absolutely priceless! Thank you to everyone who supports our mission to help AFA shelter animals in need of extraordinary medical care. 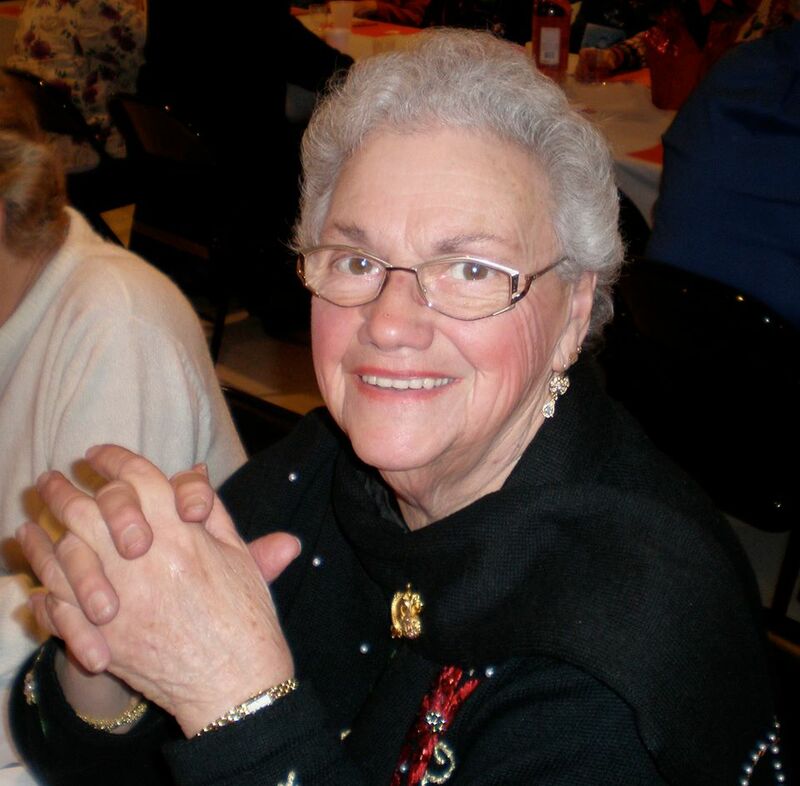 Lauren’s Wing extends our deepest sympathy to the family and friends of Rosemary Russell. We also wish to express heartfelt appreciation to Rosemary’s daughters: Elizabeth (Ezzie), Annette, and Rebecca for your wish to name Lauren’s Wing as a recipient of your Mother’s memorial tributes. We are truly honored to help your Mother’s love for animals live on in future life saving medical care these contributions will help provide. Your hearts are very giving and ours will forever be most grateful………. Introducing our newest Lauren’s Wing Recipient “Betsy Ross” and our first newborn “Benjamin Franklin”! 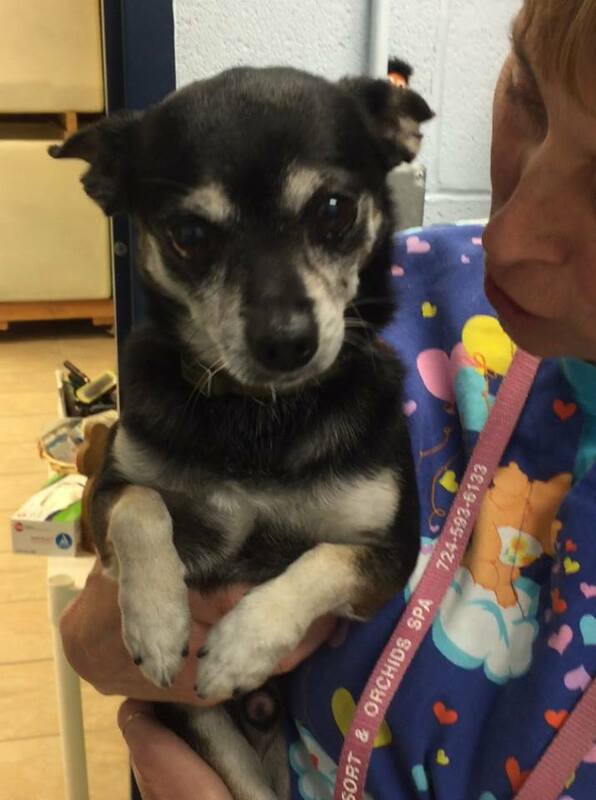 Hello, my name is Betsy Ross and I arrived at Action for Animals from another shelter who was unable to provide me with the medical help I needed. I arrived close to Memorial Day with a broken pelvis and a secret! Shelter Manager Lu and AFA vets were consulted on what would be the best treatment for my injured pelvis. At one point, it looked like a trip to Ohio State was necessary. Lu was preparing me for our journey when I decided to hop out of her vehicle and show her just how fast I could run! You see, I had other more important plans and my secret was about to be revealed. After an x-ray it was discovered that I had either a mass or one big puppy. Lucky for me it was the latter. I went back to the shelter for observation because delivering a pup with my injuries was complex. 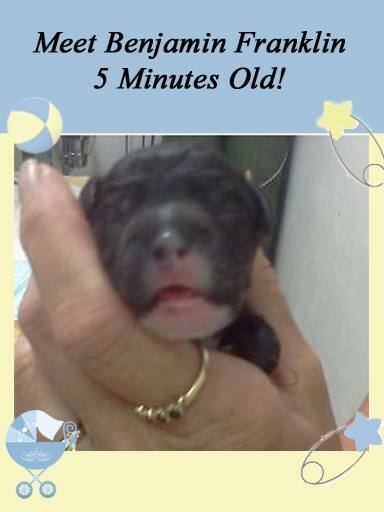 A few days later on Wednesday afternoon it appeared my puppy was ready to make an early arrival. Fortunately, Dr Bowser, and Assistant Manager – Vet Tech Pam were on hand to help bring my little “Benjamin Franklin” into the world at 9pm. Pam worked very hard to get my little man breathing on his own, even breathing for him when needed. Finally after 20 long minutes he was stabilized and by 10pm we were together again. I will be spending time with my new little one and will be under close observation during the next few weeks to see what the next course of action to help mend me will be. In the meantime, I know that I am one proud Mama loving my pup, my new AFA friends and Lauren’s Wing – The Fund for Medical Care. Lauren’s Wing is proud to have provided the necessary funds for “Betsy’s and Benjamin’s” medical care. We are also honored to be partnered with such a fine shelter blessed with a dedicated staff working hard to keep our pets safe and well. Thank you Lu, Pam, Jay, Dr Bowser and Dr Mucci for a job well done!!! Check back soon for updates and new pics of “Baby Benjamin” and Mom “Betsy Ross”! After a very long and exceptionally quiet winter, we are happy to introduce our latest Lauren’s Wing recipient and our very first rabbit! “Popeye” is a beautiful 6 week old Giant Flemish bunny who arrived at Action for Animals as an owner surrender due to an ongoing serious eye issue. Popeye’s story is long and just a bit complicated. Several consultations were made with different local veterinarians formulating the best way to treat Popeye’s eye. Somewhere along the way, it was discovered that Popeye was actually a female bunny so the name “Olive Oyl” seems a better fit now! Olive Oyl was taken for eye surgery early May for it appeared eye removal was needed. After prepping for the surgery, the decision was made to forego the surgery and try one new medication in a last resort effort to save her eye. We are so excited to report that the last treatment plan was indeed successful! Lauren’s Wing is very grateful we were able to fund all the veterinary consultations and medical expenses for Olive Oyl’s month long journey of treatments. We are also grateful for the patient and loving care provided to Olive Oyl from the wonderful staff at AFA and shelter manager Lu. She is strong to the finish (now weighing in at 7.2 lbs…….. really does love her spinach…….. she is Olive Oyl, one happy, healthy, and lucky bunny! P.S. Olive Oyl is expected to grow to 22lbs as an adult! 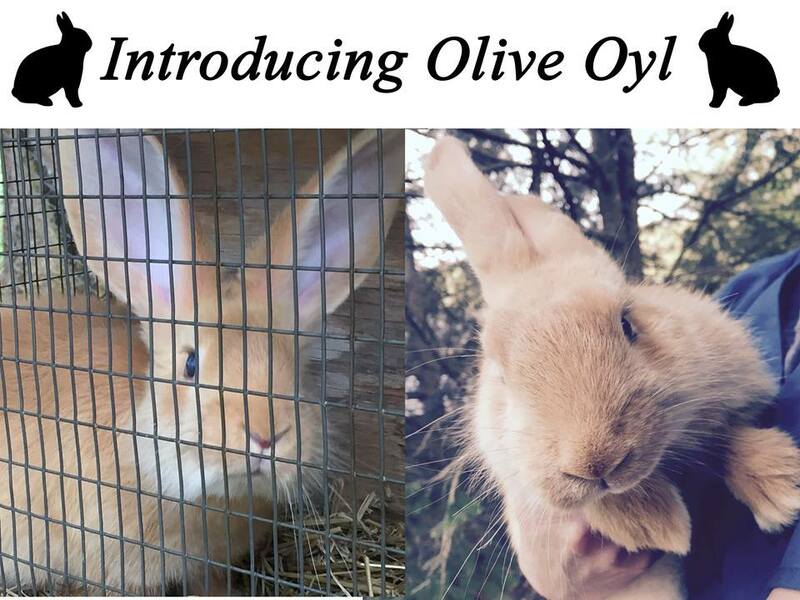 Stop by Action for Animals to visit Olive Oyl and her bunny friends. In Memory of Lt. Eric Eslary, Ligonier Township police officer killed in the line of duty 5-5-2015. 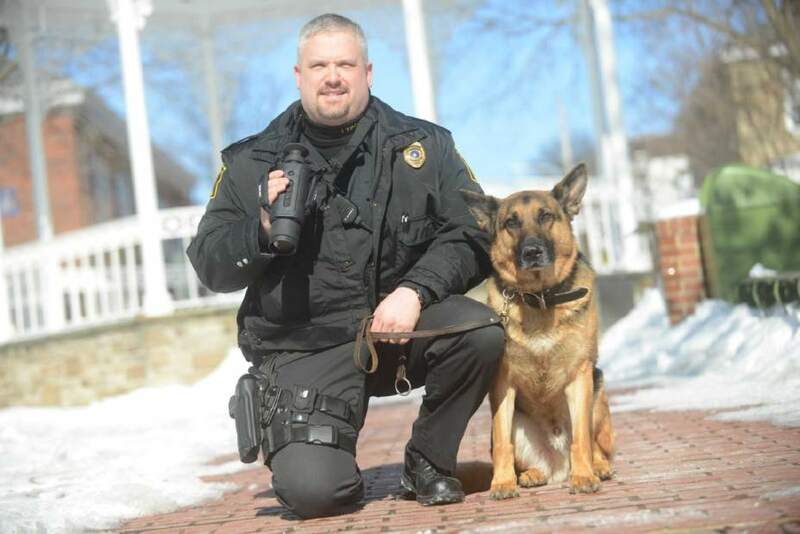 Our thoughts and prayers go out to his family, and K-9 Officer Blek who was injured. Hope to see all at the Cash Bash! Plan to come for a fun night out and help raise needed funds for Action for Animals Humane Society and Lauren’s Wing the Fund for Animal Care. Lauren’s Wing would like to express special thanks to “Denunzio’s Restaurant” and “Celebrate You Boutique” for their generosity! 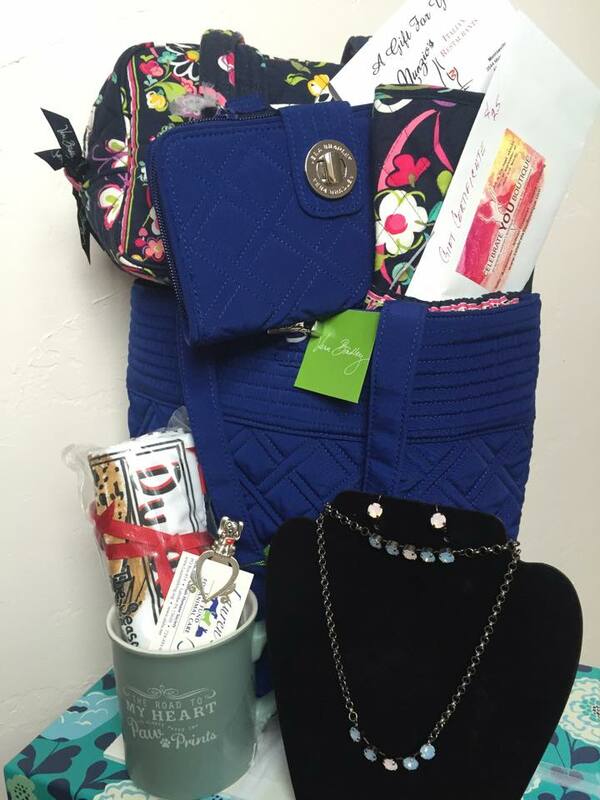 Visit this very unique boutique shop in downtown Irwin for beautiful accessories and gifts or visit their website or Facebook! Lauren’s Wing-The Fund for Animal Care expresses a heartfelt thank you to “The Shepherd’s Keeper in Kinderhook” for their support! This past weekend shop owners Amy Zimmerman and Carol Marko hosted an open house and donated a portion of sales to the Lauren’s Wing Fund. Lauren’s Wing is most grateful for their generosity! If you haven’t stopped by this wonderful treasure of a shop located in the historic Kinderhook section of Greensburg, please visit soon to find a delightful selection of Primitives, Textiles, Antiques, Folk Art and Accessories. 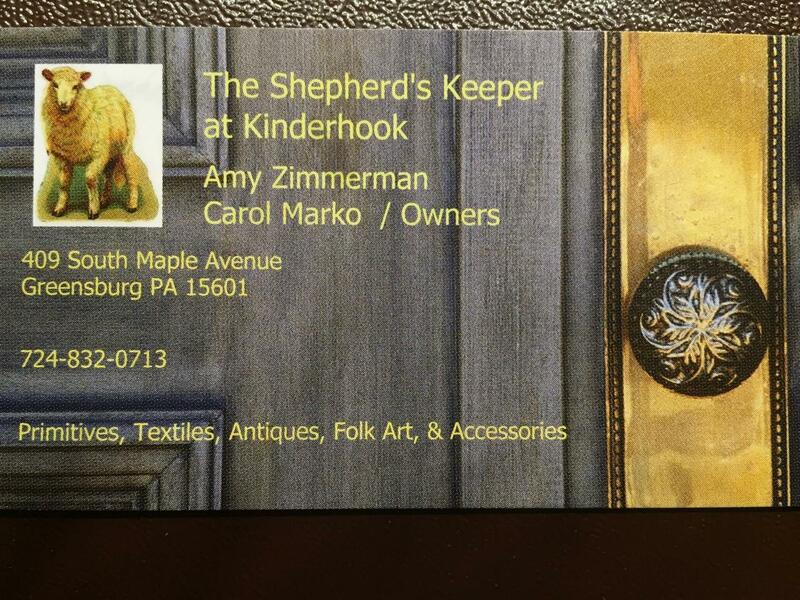 Be sure to visit The Shepherd’s Keeper in Kinderhook on Facebook, too!